When you lose something, it is normal to want the same thing if not better. Finding a Dollar Photo Club alternative is like finding a substitute for your lost phone. If you already have last year’s latest model, you want to get the next flagship if the former is unavailable. The same is true with DPC. 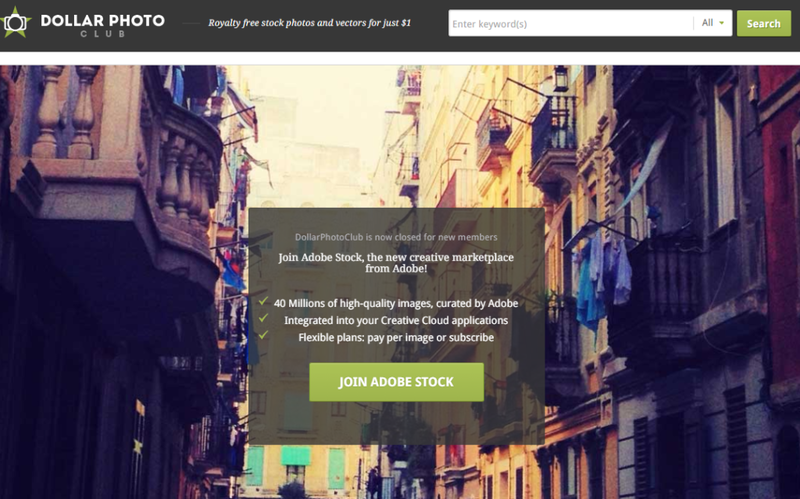 The stock site is already one of the top stock photo clubs in the world. Its closing is as devastating as losing a high-end gadget for its members. The only way to make them feel better is if they find a better alternative. With numerous stock photo agencies scattered all over the World Wide Web, how can you find the perfect alternative? First, you should take note of the things you loved about the Dollar Photo Club. Also, list down the features and benefits of your potential image bank. Compare them to check which covers almost the same things you loved about the DPC. Lastly, find out if there are other features and benefits better than what was offered to you. Perfection is subjective. What may be perfect for one is not nearly enough for another. However when it comes to stock photo agencies, perfection comes with budget and needs. And, the DPC offers that. This means that the perfect alternative should also fit everyone’s creative needs and budget. The stock is closing in less than a month already, current members should starting looking for an alternative now. Shutterstock. Shutterstock is a great stock site. It has over 70 million creative assets. However, it does not offer the same low cost per image that DPC offers. iStock. Like Shutterstock, iStock has offers millions of stock images at ridiculously great prices. You can purchase images through credits and subscription plans. It even offers credits that do not expire. However, it still does not beat the low prices of DPC. Depositphotos. Depositphotos offers high quality royalty-free images at the best prices. However, cost per image is twice more than what DPC offers. 99 Club. 99 Club is new to the market. It has millions of royalty-free stock images with 80,000 more added daily. Moreover, it offers images in a much lesser price. The DPC and 99 Club is similar in so many ways. They both offer downloads that do not expire and all their images are available in small, medium and XXL. Howevere, 99 Club lets you download 200 images for only $99 a year, which is twice the number of downloads in DPC. You can also get additional images for 99¢, which is one cent cheaper. In a word, no stock site is a more perfect Dollar Photo Club alternative than 99 Club.